4. Select the Start Time and End Time. 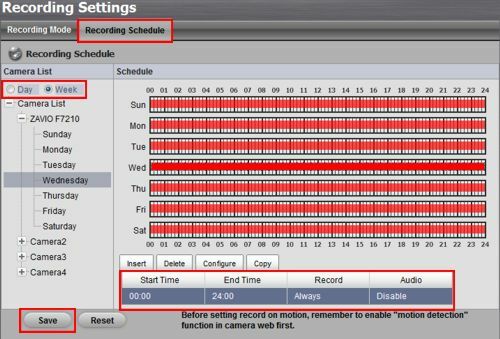 Then select the Pre and Post Record times (How long the camera records for before and after an event takes place). Then Enable Audio if you wish. 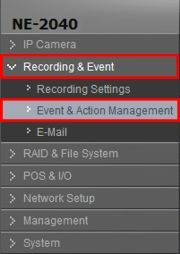 Select either Always Record or Record on Event under the Mode section. Once configured click OK. (Shown Below) Once you do this for all your cameras and/or days click Save as seen above. 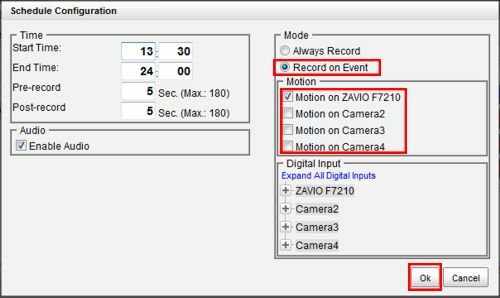 Motion recording only records when motion is triggered by an object in the camera's view. I recommend following the Schedule Recording instructions prior to setting up motion. 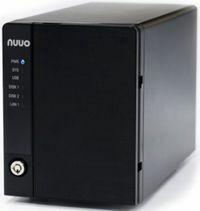 You will have to make sure the motion is enabled on your IP camera prior to setting it up on the NVR (This can typically be found in your IP camera user manual). 3. 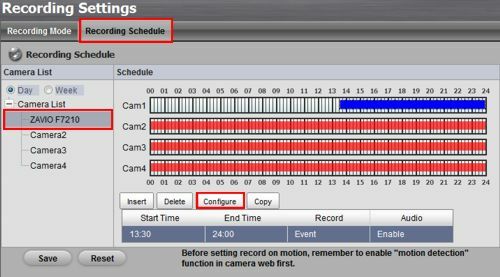 Now select a camera and check Motion from Camera. Click Configure and the second image below will appear. 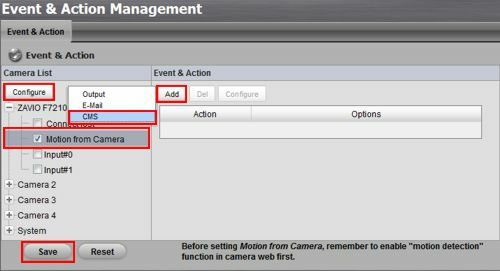 Check Enable Event and enter when you would like the motion to be active and click OK. Then click Add followed by CMS. Do this for as many cameras as you need and click Save. 7. 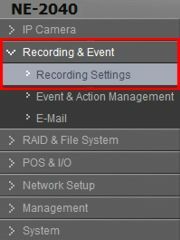 Then click Save on the Recording Settings menu.